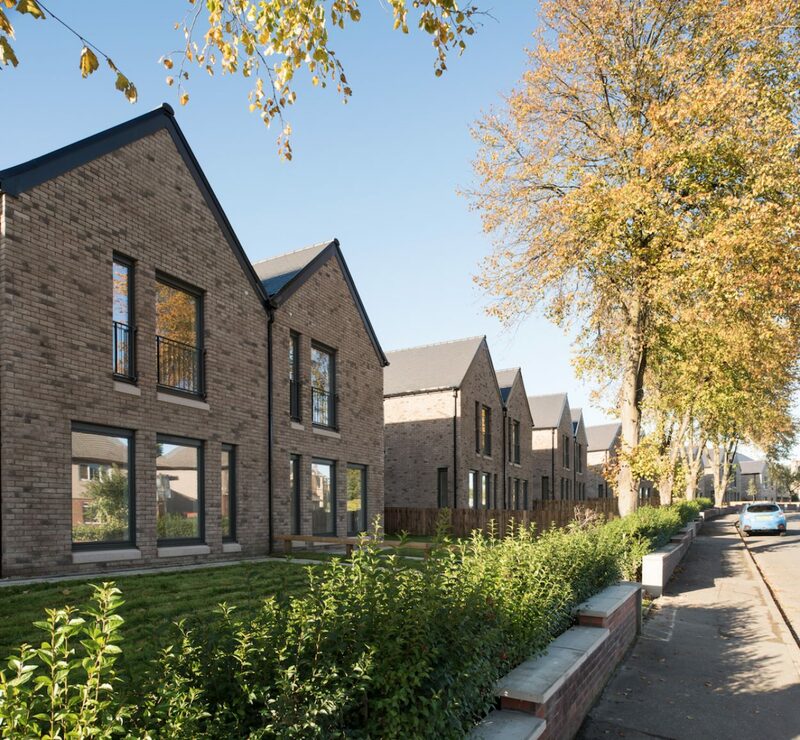 Collective Architecture was commissioned by Home Group Scotland to design 32 new houses and a children’s home on Glasgow’s south side. 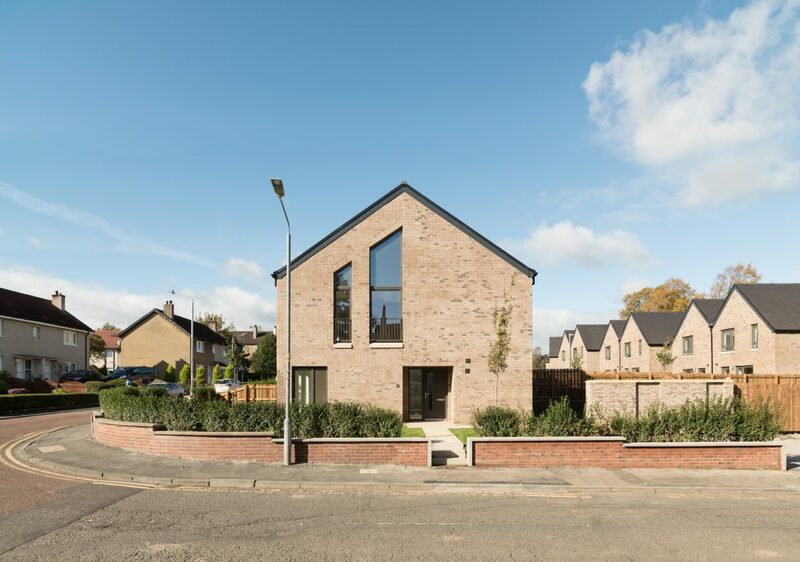 The site is located on Muirskeith Road, adjacent to Newlands Conservation area: a leafy neighbourhood with beautiful sandstone villas, generous gardens and greenery. It is extremely well served with local amenities and several schools nearby. 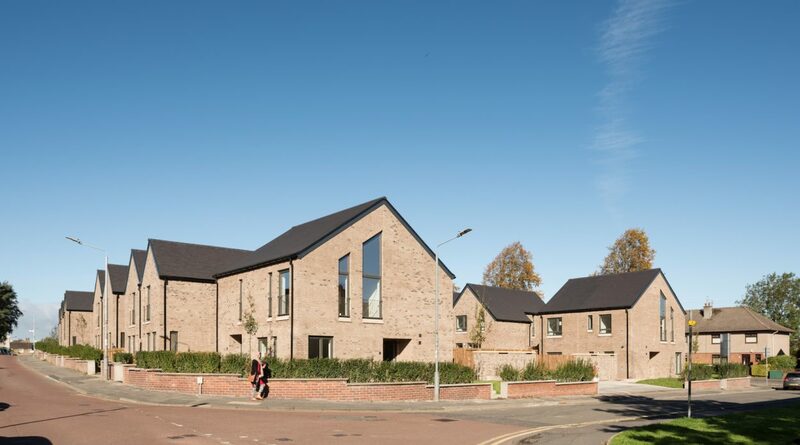 Glasgow City Council previously owned the site and an existing 32 bed care home required decommissioning before work started on the new housing. The associated parking and pathways, occupying around a third of the site were also removed. The remainder of the site, arranged as garden space with mature trees, was developed as part of the proposals. 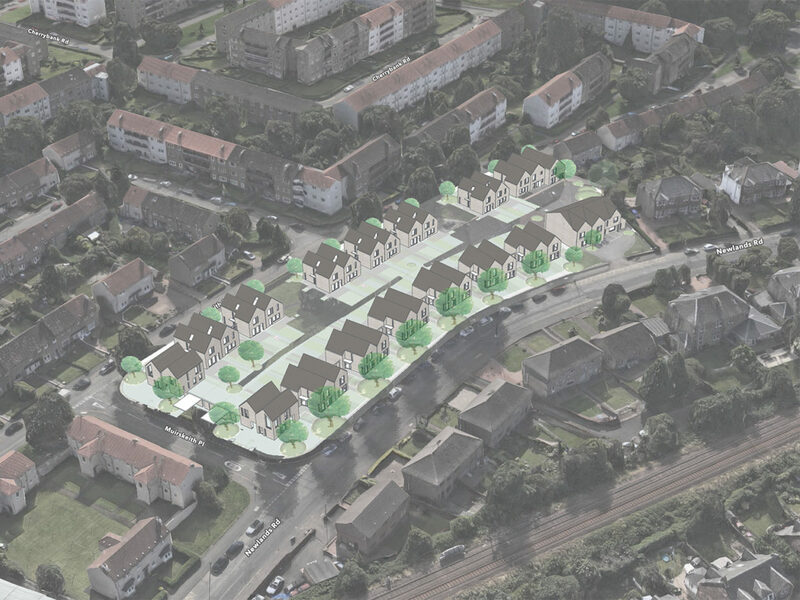 Early consultations were undertaken to look at how to develop the site as sensitively as possible, retaining existing trees and the level of greenery that characterises the site. 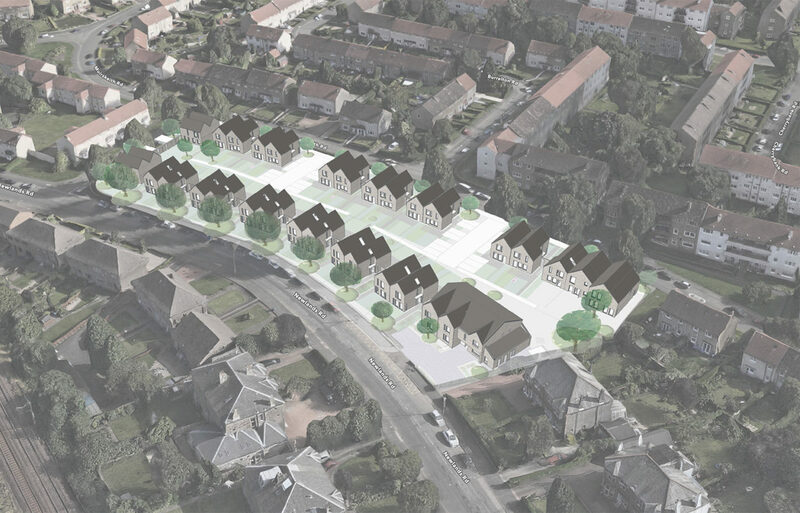 A concept was developed ensuring each new home would be paired with a tree, whether existing or new, in a shared front garden. Narrow house forms are adopted so as to allow space for the trees to grow and flourish. The house plans are efficiently laid out with a gable entrance, a central stair well and rooms either side spanning the full width of the house with generous glazing for bright and airy spaces internally. 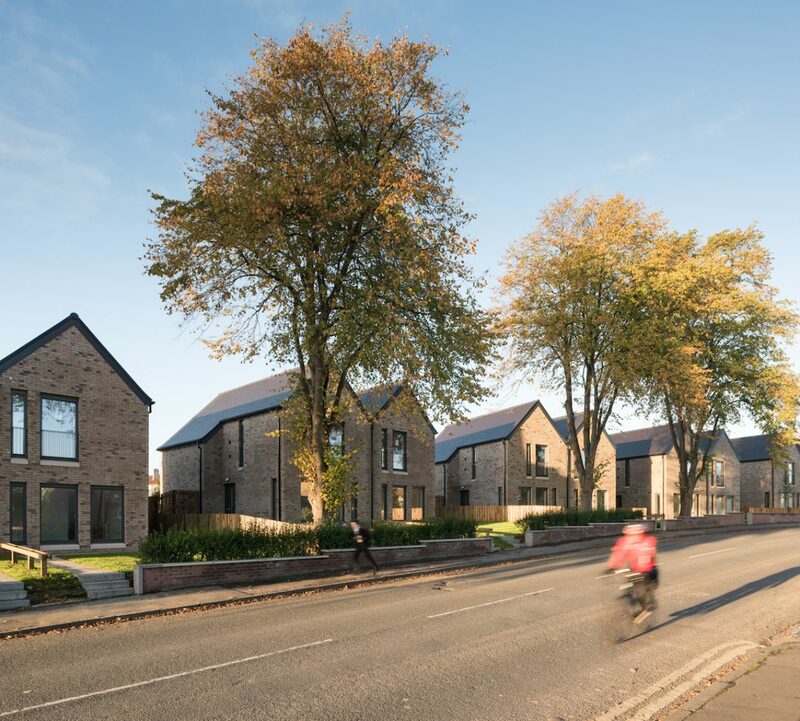 The children’s home, positioned at the entrance to the former care home, is sensitively designed to integrate within the neighbourhood and existing streetscapes . This is domestic in scale, providing 8 bedrooms over two floors, adopting the same materials and architectural style to mirror the mainstream housing nearby.